I started going to the gym 2 months ago. Until I felt a throbbing right leg pain that lasted for 2 weeks. I got myself checked up. My PT doctor recommended and signed me up to a Rehab Medicine. My therapist recommended an exercise focused mainly on leg strengthening. I underwent ultrasound for the right leg and completed my 4 sessions and took glucosamine for my bones. The pain was gone after the treatment and asked my therapist if its okay to go back to the gym and or run. She said that I should as soon as possible. It was just in time that an invite for Robinsons 10th Fit & Fun Wellness Buddy Run came up. 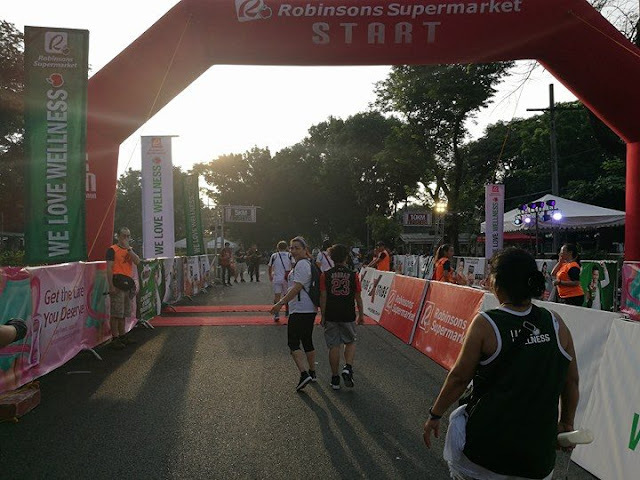 I have been running for Robinsons since 2015. The first time I ran for 5K I remember I was alone but instantly got a blogger buddy at the venue. It was fun, because I endured the whole 5K , walking, running and jogging with a whole lot of chika along its pace and turns with my blogger friend Ruth. There was never a dull moment, before we knew it, we were at the finish line. 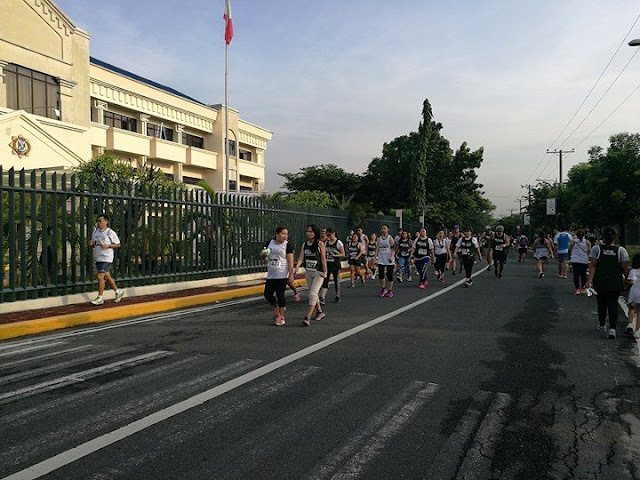 The good thing about running for 5K is that it takes a less of a toll on your body. 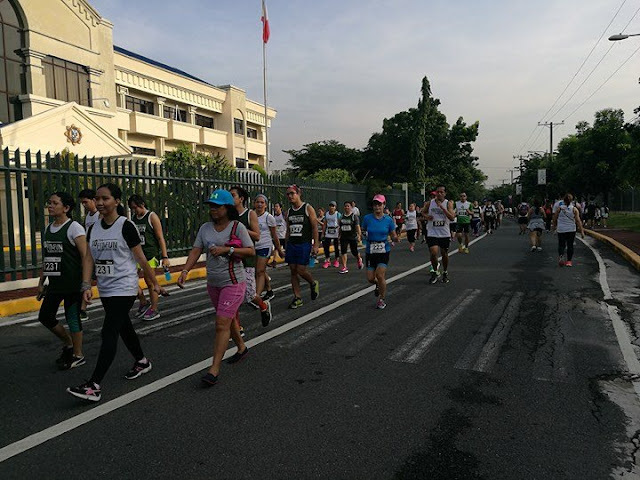 With short races, the less mileage you run, the lower your risk to have injuries. 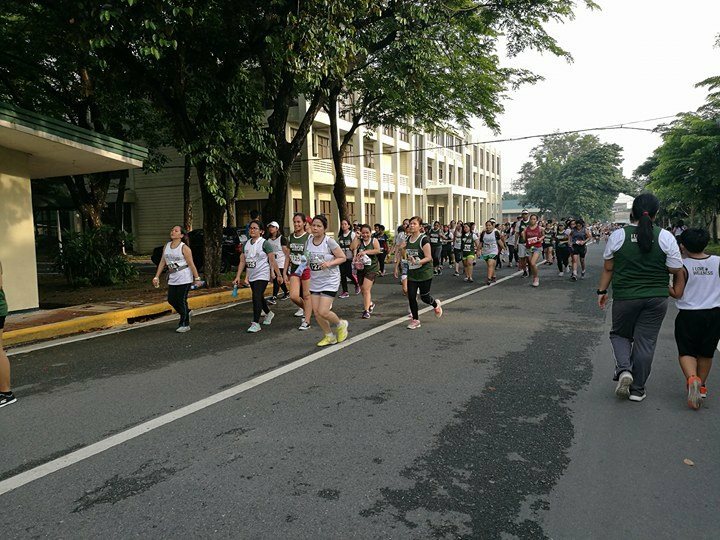 That's why I always signed up for 5K. Its a safe and fun way to build stamina. 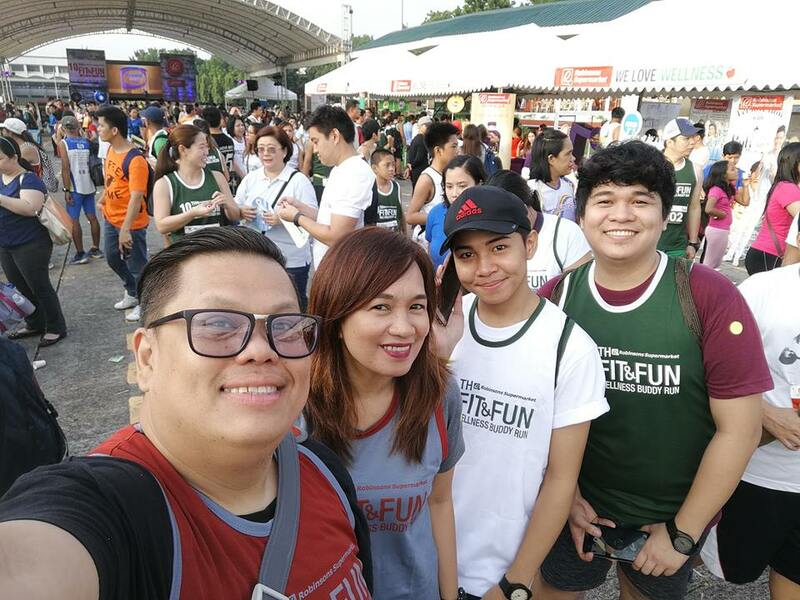 I promised myself since then that I will join Robinsons fun run every year with or without a partner. Last year though, I was surprised that my partner joined the run. He woke up early, dressed up and eagerly joined me. We were a running pair since then. Errr, a running/jogging/walking pair, to you. 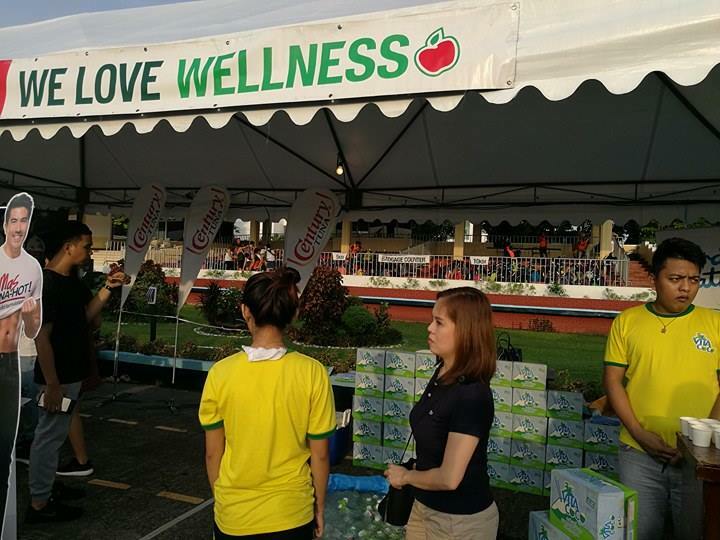 Last Sunday, July 2 Robinsons Supermarket held its 10th Fit & Fun Wellness Buddy Run at Camp Aguinaldo. I ran again with my buddy Ed of whereiseduy.com. 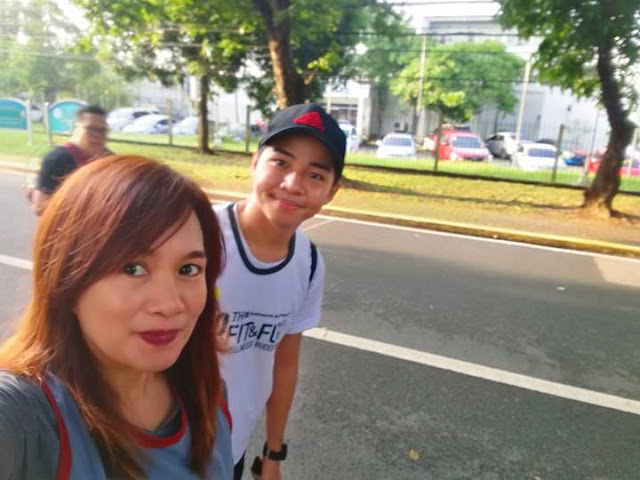 We left the house at 5am and arrived in Camp Aguinaldo at 6:15 am. 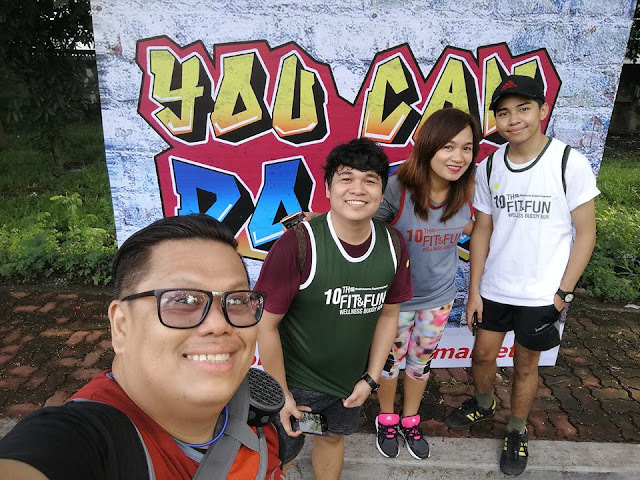 The traffic was building up around Cubao but we were lucky to have parked inside the Camp and was able to ran even if we were 10 minutes late. We finished the race for 35 minutes and he told me that he would be joining annually. That was good news for me. Robinsons Supermarket‘s commitment to wellness campaign extends to providing Filipinos with delicious and healthy food options and alternatives. Check out their Facebook page www.facebook.com/RobinsonsSupermarketOfficial or website www.robinsonssupermarket.com.ph to see what's good for you.